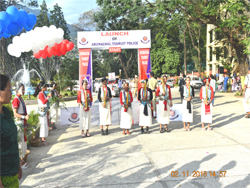 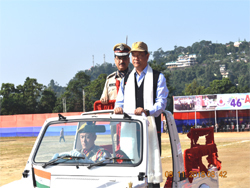 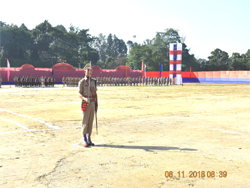 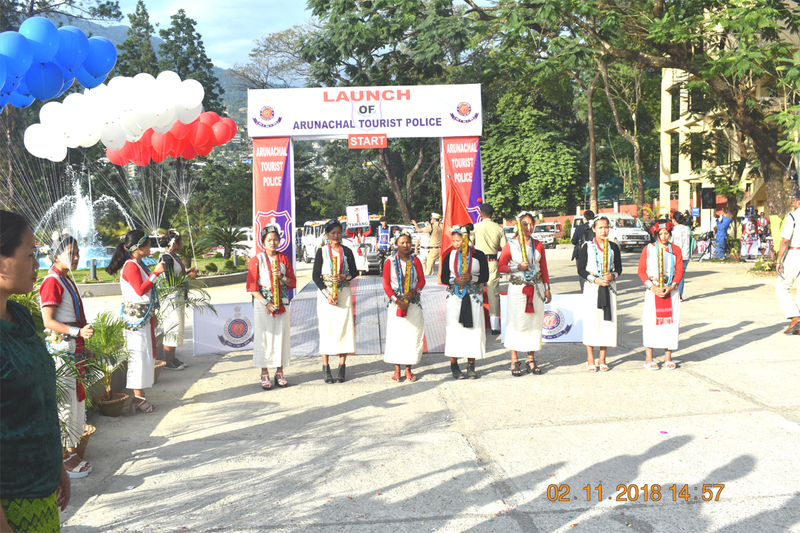 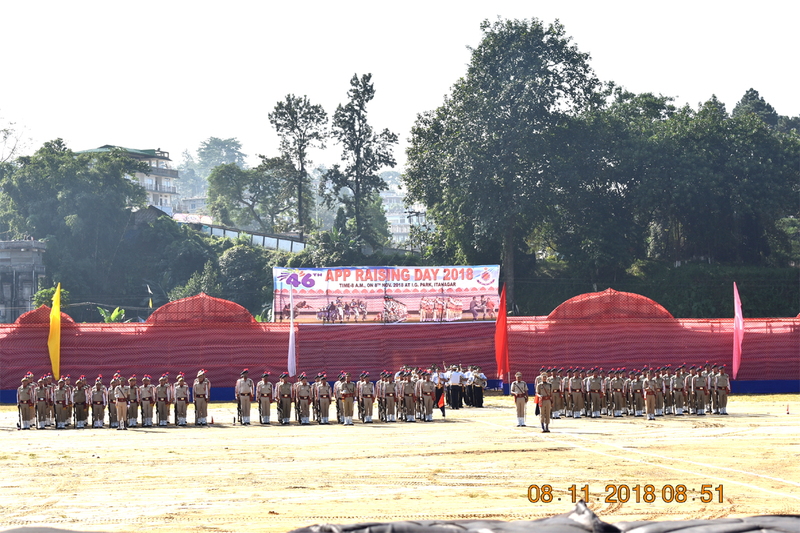 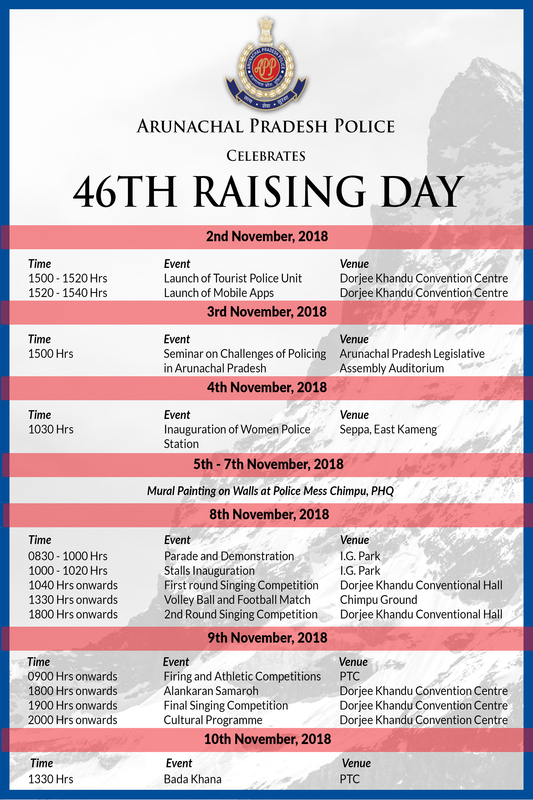 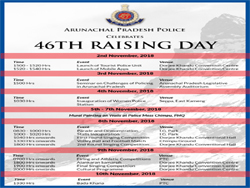 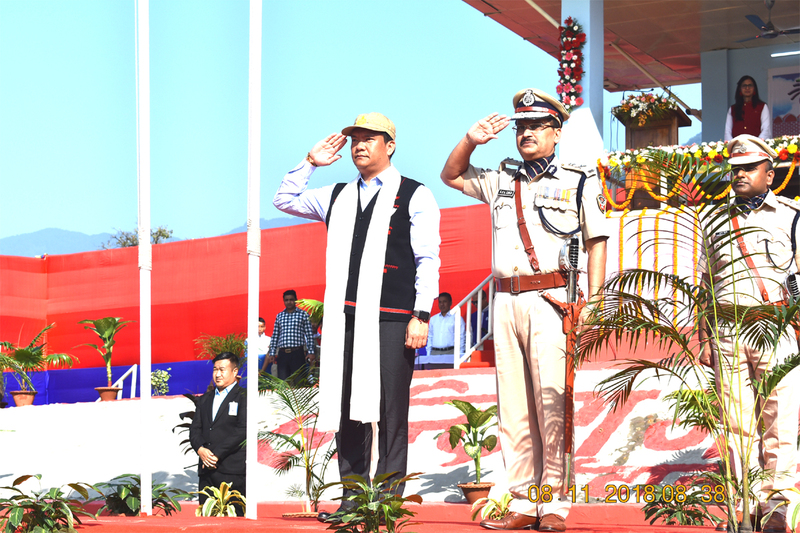 08/11/2018 Arunachal Pradesh Police Raising Day Parade & Demonstration at IG Park, Itanagar. 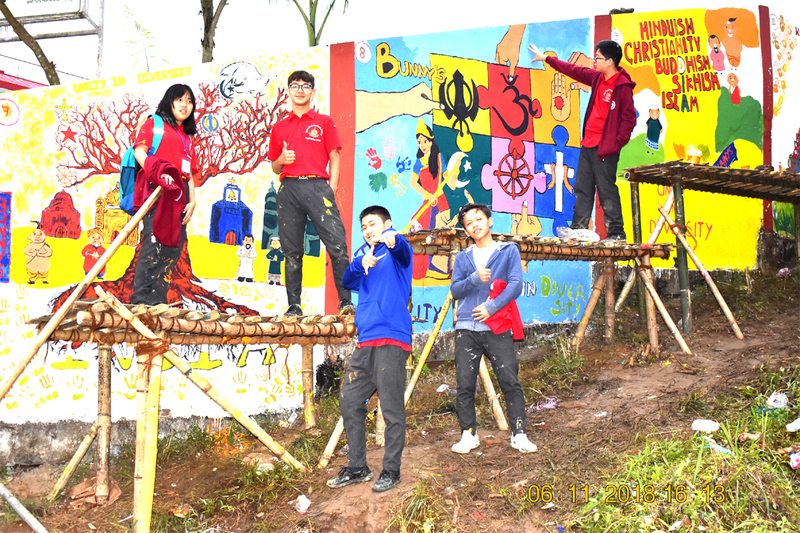 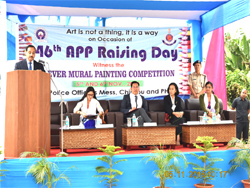 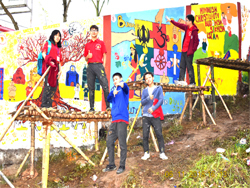 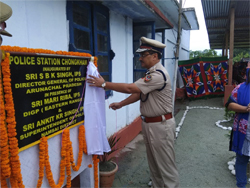 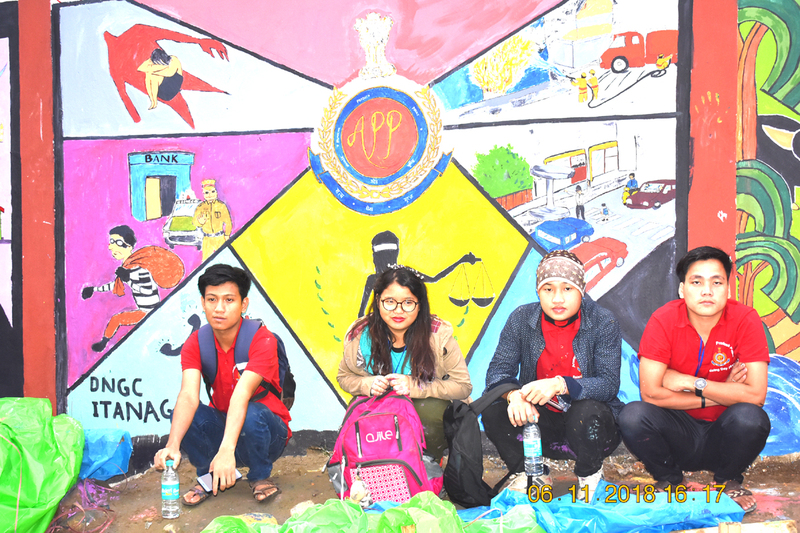 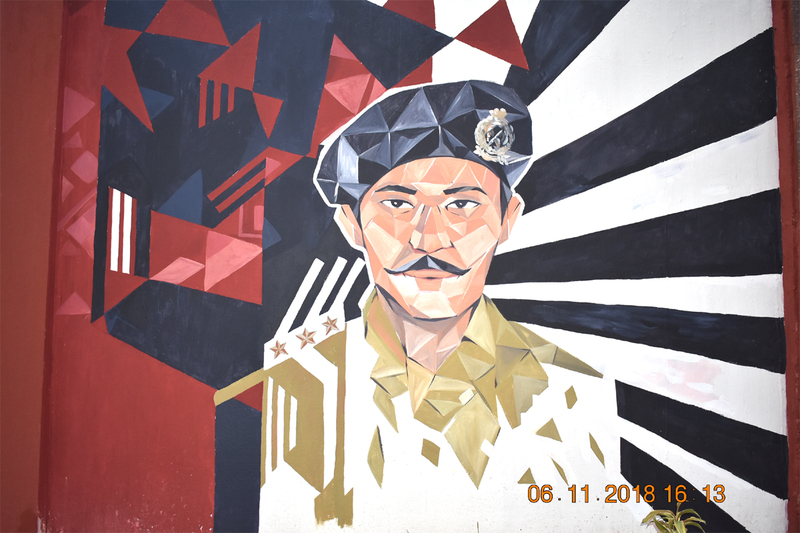 05/11/2018- 07/11/2018 Mural Painting on Walls at Police Mess, Chimpu & Police Headquarters. 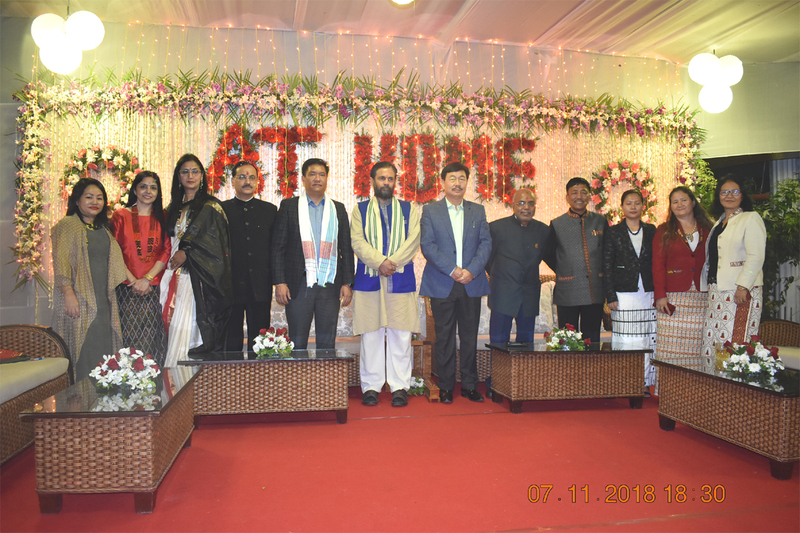 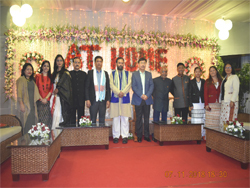 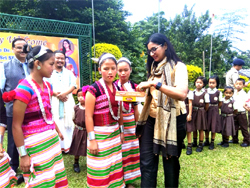 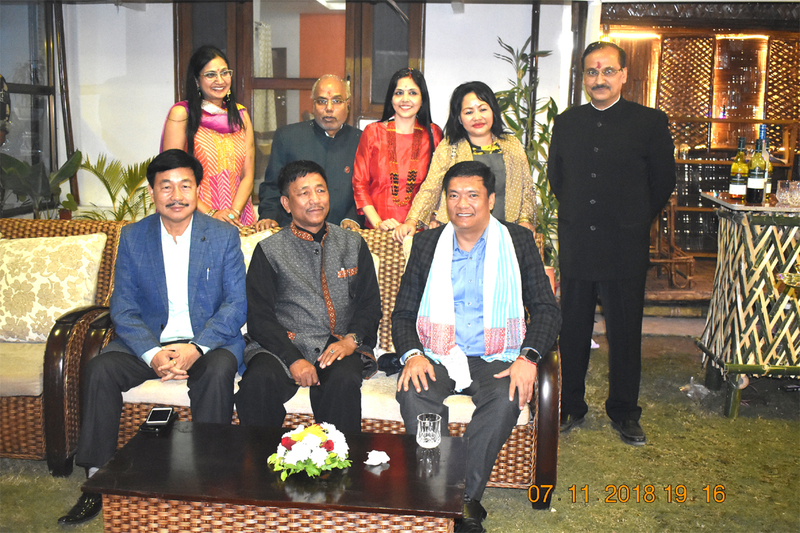 Chief Guest Hon'ble Minister Sri Mahesh Chai, Guest of honour Padma Shri Mamang Dai, Special Guest Smt. Nandita Gopal, Dr. Sushi Singh, Chief Advior of APPWS attended. 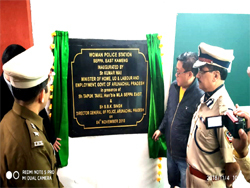 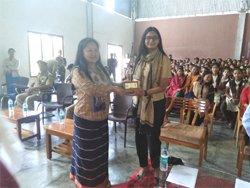 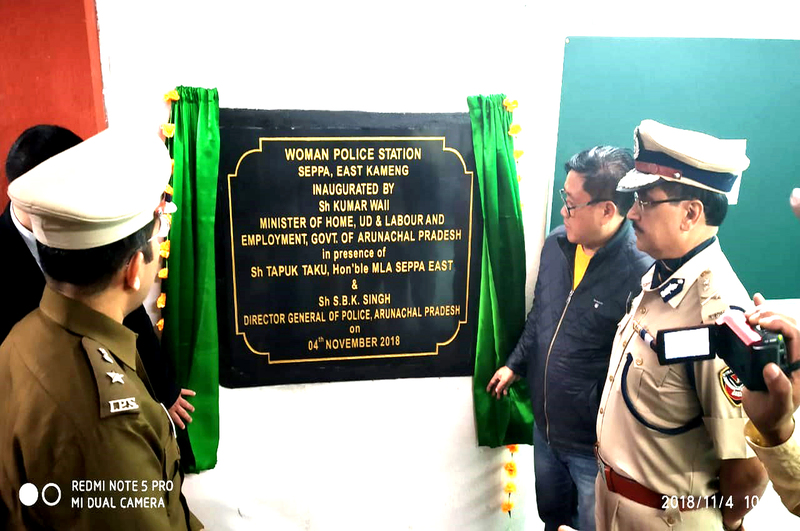 04/11/2018 Inauguration of Women Police Station at Seppa, East Kameng District by Kumar Waii, Minister Home, UD & Labour and Employment Govt. 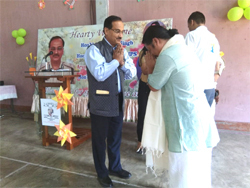 of AP in presence of Mr. Tapuk Taku, Hon'ble MLA, East Seppa Constituency and Sri. 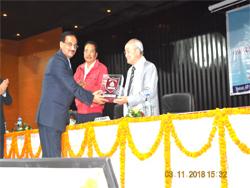 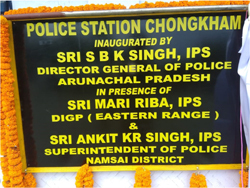 S. B. K. Singh, Director General of Police and Sri. 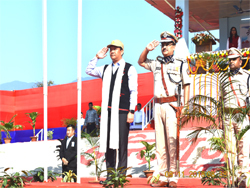 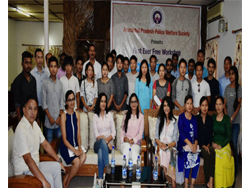 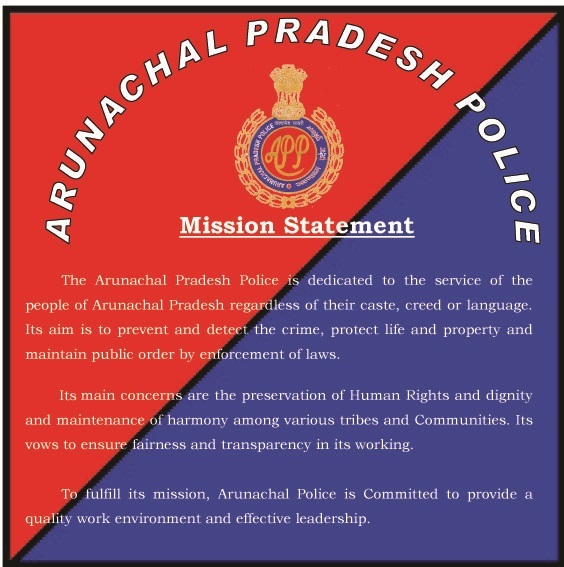 Issac Pertin, DIGP (W), Arunachal Pradesh and other senior police officer. 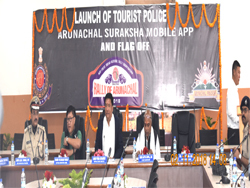 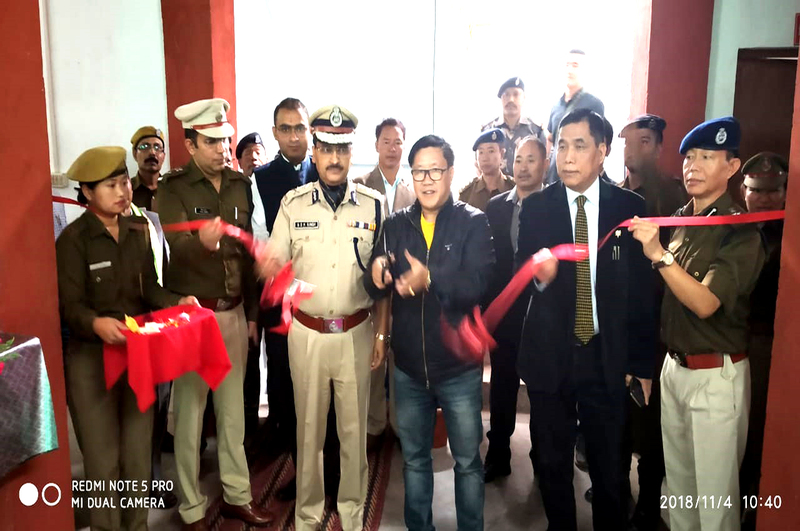 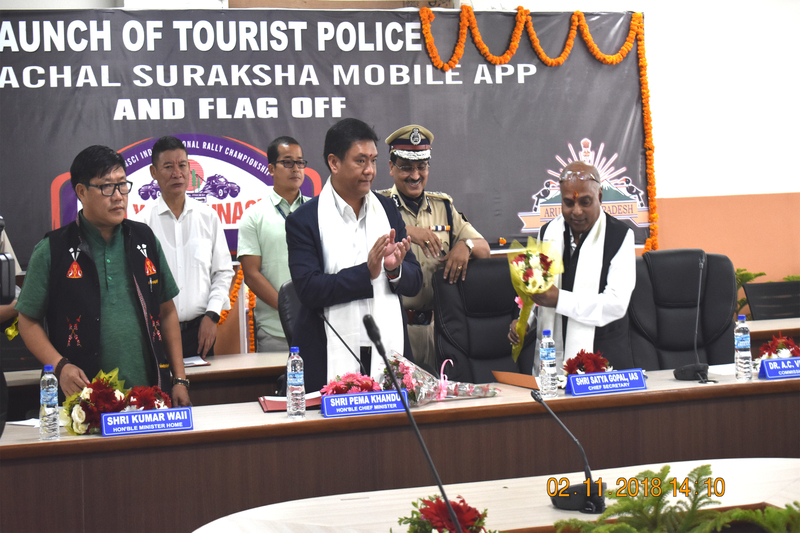 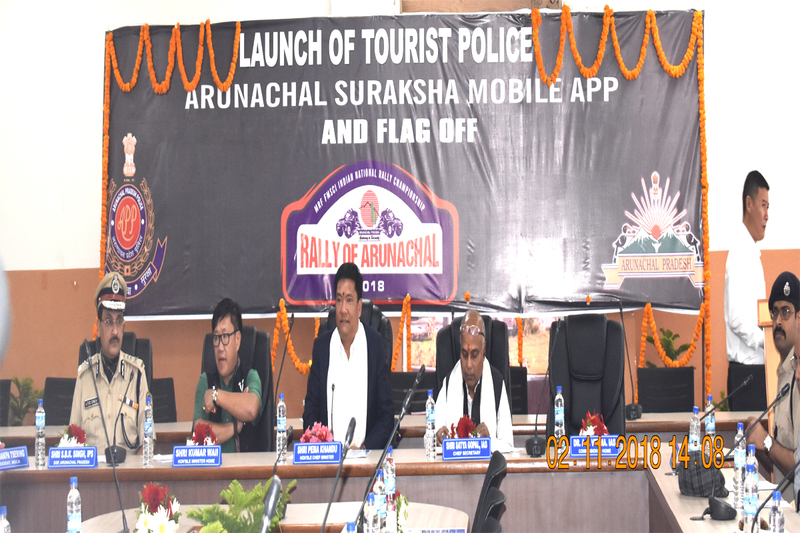 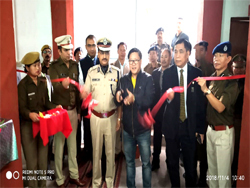 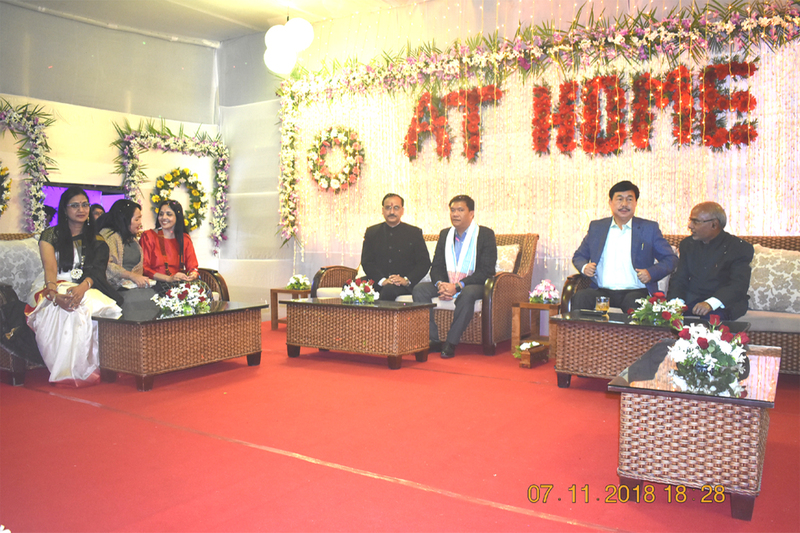 02/11/2018 Launch of Tourist Police, Arunachal Suraksha Mobile APP and Flag Off by Sri Pema Khandu, Hon'ble Chief Minister of Arunachal Pradesh at Dorjee Khandu State Convention Centre, Itanagar, on 2nd November 2018. 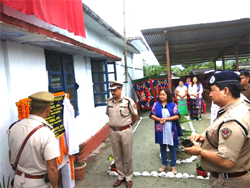 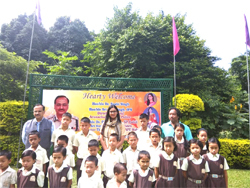 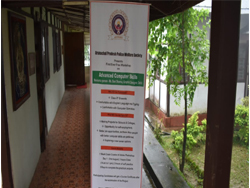 08/10/2018 Vist of Apna Vidya Bhawan School, Wakro by Sri S. B. K. Singh, IPS, DGP, Arunachal Pradesh along with Dr. Sushi Singh, Ex-Officio Chief Advisor of APPWS, Sri Mari Riba, IPS, DIGP (E), Namsai and Dr. D. W. Thongon, SP, Lohit District. 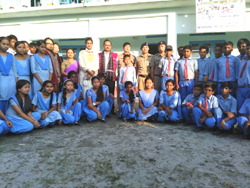 08/10/2018 Vist of APP Balwadi School, Tezu by Sri S. B. K. Singh, IPS, DGP, Arunachal Pradesh along with Dr. Sushi Singh, Ex-Officio Chief Advisor of APPWS, Sri Mari Riba, IPS, DIGP (E), Namsai and Dr. D. W. Thongon, SP, Lohit District. 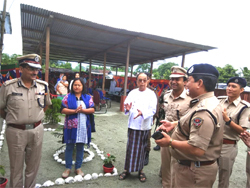 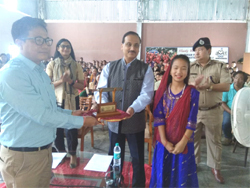 06/10/2018 Vist of APP Balwadi School, Roing by Sri S. B. K. Singh, IPS, DGP, Arunachal Pradesh along with Dr. Sushi Singh, Ex-Officio Chief Advisor of APPWS and tree plantation was executed. 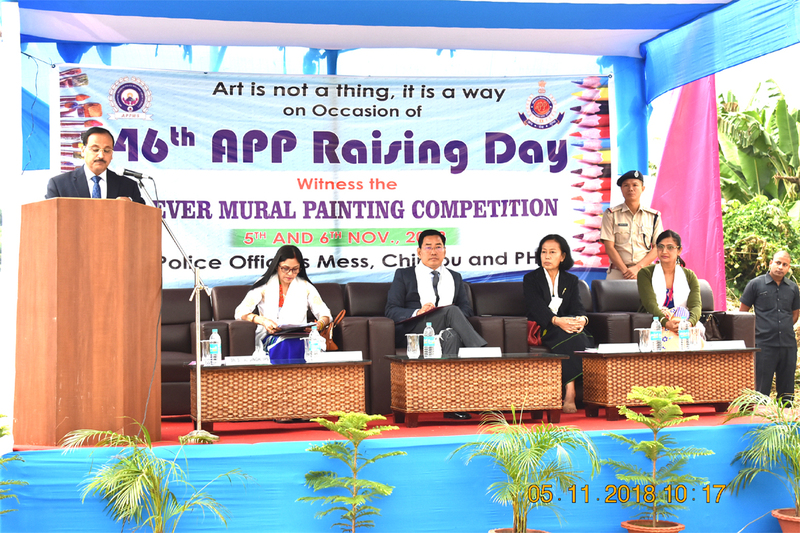 Hon'ble MLA Matchu Mithi and Police Officers attented. 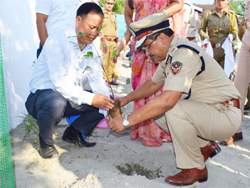 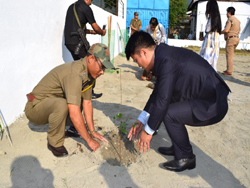 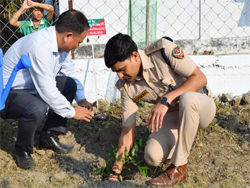 21/06/2018 Arunachal Pradesh Police Celebrated 4th International Yoga Day & Tree Plantation on 21st June at Itanagar. 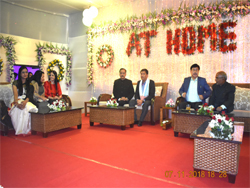 Hon'ble Chief Minister, Home Min, Power Min, RWD Min, Tourism Min, Education Min, Parliament Secretaries, MLAs, Chief Secretary and other senior govt. 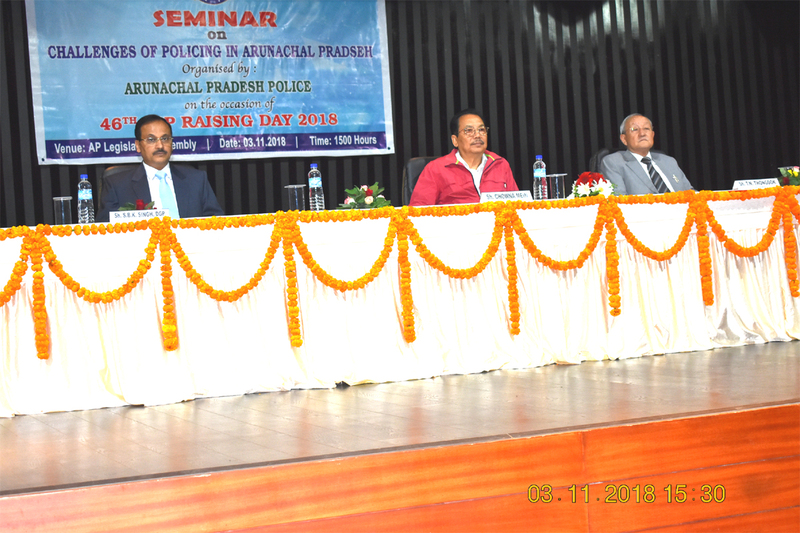 officials, Police Offiers from the state attended.